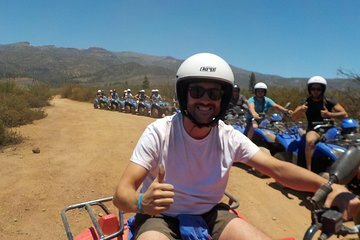 Traveling through Tenerife on a quad bike lets you visit parts of the island that are inaccessible by car. Head down dirt tracks and country roads en route to the villages of Arona and Vilaflor, passing plenty of stunning scenery and wildlife along the way. Bring the whole family along, too—children ages seven and older can ride as a passenger.